Seaweed and Rosehips. 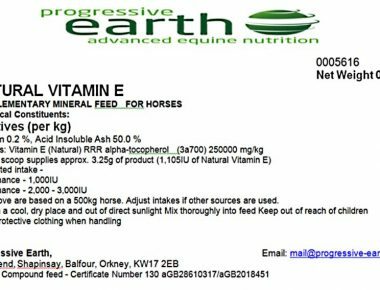 equine source of vitamins and minerals. Heridean (Organic) Seaweed and Rosehips. 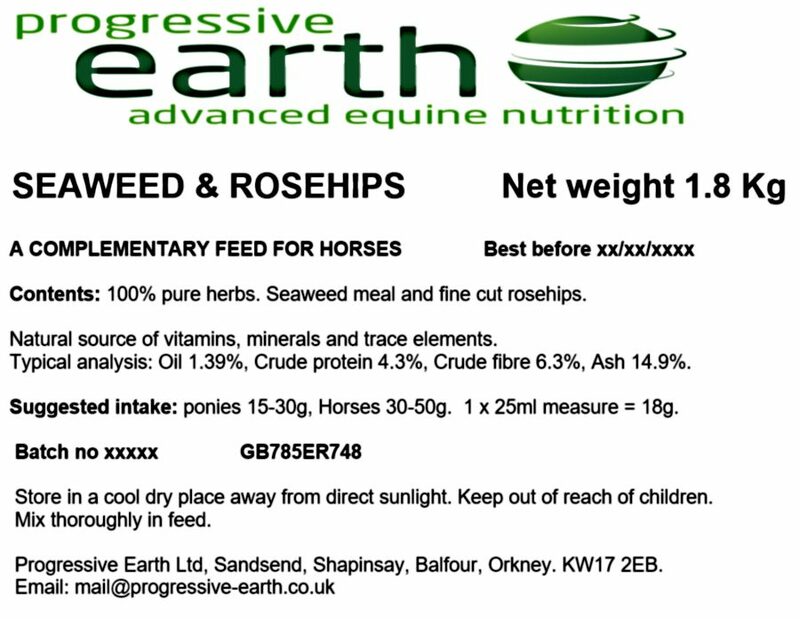 A mixture of 100% natural organic dried Scottish seaweed meal and fine cut rosehips. Natural Organic Hebridean Seaweed sustainably harvested from the pristine waters of the Outer Hebrides Islands in Scotland. The Seaweed is dried at low temperatures to preserve nutritional content and then milled into fine granules. 100% Natural Organic Hebridean Seaweed. Contains All Minerals and Trace Elements. Certified Organic by SOPA Scottish Organic Producers Association. Rosehips (fine cut) – Rich source of Vitamin C, immune system support and general tonic. Rosehips are a rich source of Vitamin C and contain a variety of antioxidants. These include carotenoids, flavonoids, polyphenols, leucoanthocyanins and catechins, making them an excellent immune system booster and a general tonic. As a rich source of Vitamins A, C and K, thiamine, niacin, riboflavin, volatile oil, copper and cobalt. To help with loose droppings. To help cleanse the body of toxins. As support for kidneys, liver and circulatory systems. For horses recovering from injury or illness. And used most successfully as an accompaniment to other herbs. 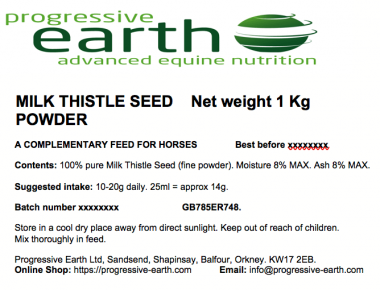 Feed approximately 15 – 30 g per day for an average 300 Kg pony. 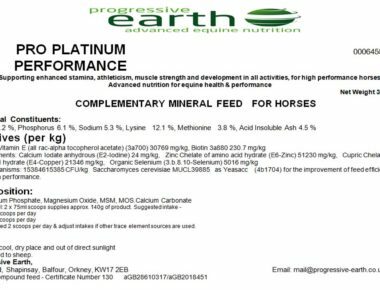 Feed approximately 30 – 50 g per day for an average 500 Kg horse. Note: Please seek veterinary advice before feeding seaweed to pregnant mares. One x 25 ml measure provides about 18 g of seaweed and rosehips fine cut. Human grade Herbs are used in this product. All herbs have been laboratory tested for identification and compliance to the British and European Pharmacopoeia standards. 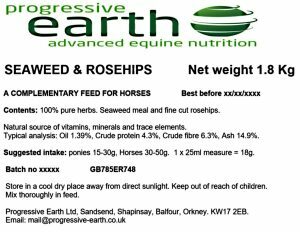 Pack size and availability: Progressive Earth Ltd 100% Natural Organic Hebridean Seaweed and Rosehips equine feed supplement is available in resealable grip seal pouches containing either 1 Kg, 2 Kg or 4 Kg of product.